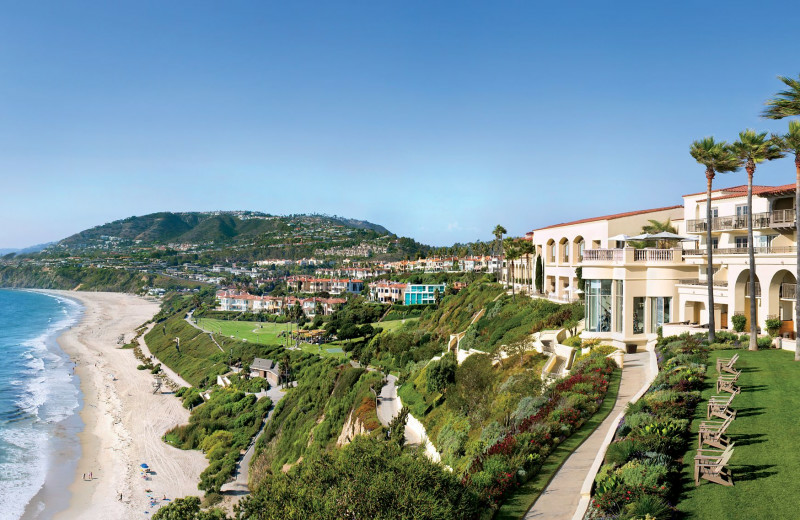 The Ritz-Carlton, Laguna Niguel is situated atop a 150-foot bluff overlooking cascading views of the Pacific Ocean. Here, you can escape the stress of everyday life and indulge in a truly relaxing and luxurious vacation experience. 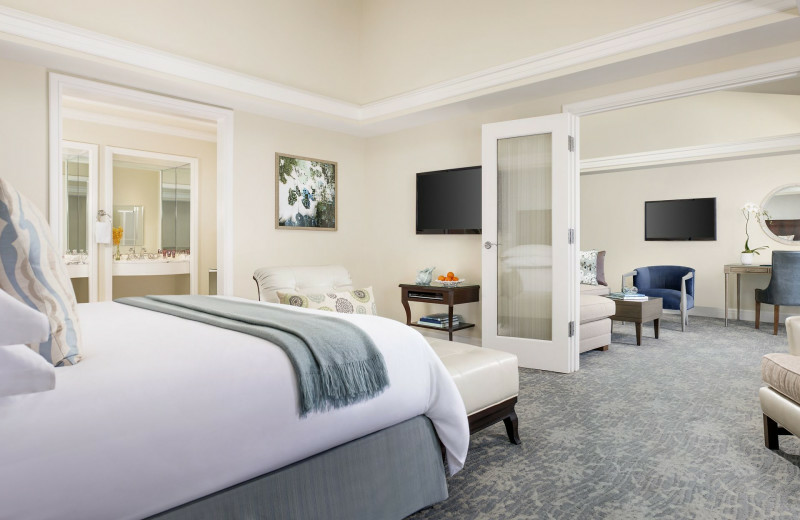 Come with family, friends, or your sweetheart and settle into any one of their 396 guestrooms that feature modern amenities such as private balconies, wireless internet, and sweeping coastal views. When you're not unwinding indoors, head to the Eco-Adventure Center to join in on an incredible outdoor excursion such as a SANDsational Sea Hike or a Beach Banzai Body Boarding experience. If that's not enough, head down to the beach for recreation such as stand-up paddle-boarding, surfing, or simply swimming in the cool waves. When you need a break from the ocean, unwind at the two swimming pools or whirlpools, play a round of tennis or basketball, or stop by the fitness center. After a day of entertainment, head to the onsite spa for a soothing massage before treating yourself to a delicious meal at any of the six onsite dining options. 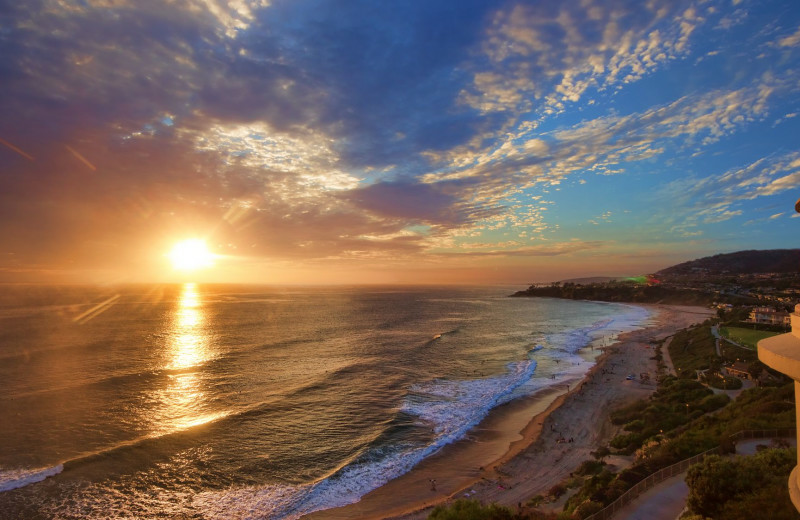 No matter how you choose to spend your days, Laguna Niguel offers the perfect destination for true Southern California luxury in a breathtaking oceanfront setting. 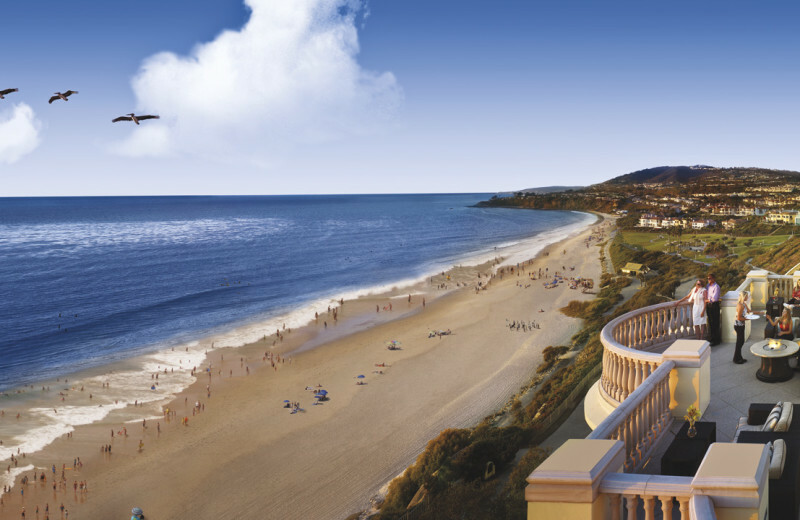 Elevated above the Pacific Ocean, The Ritz-Carlton, Laguna Niguel is the perfect place to begin your Southern California beach vacation. Sink your toes into the sand and enjoy the dramatic views for a quiet afternoon. 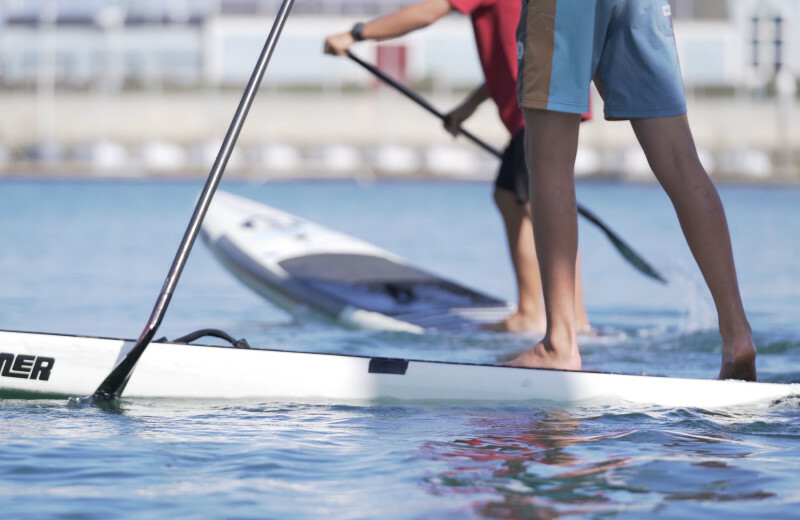 If you're looking for more outdoor experiences, stop by the Eco-Adventure Center to join one of their excursions such as whale-watching, stand-up paddle-boarding, and much more! 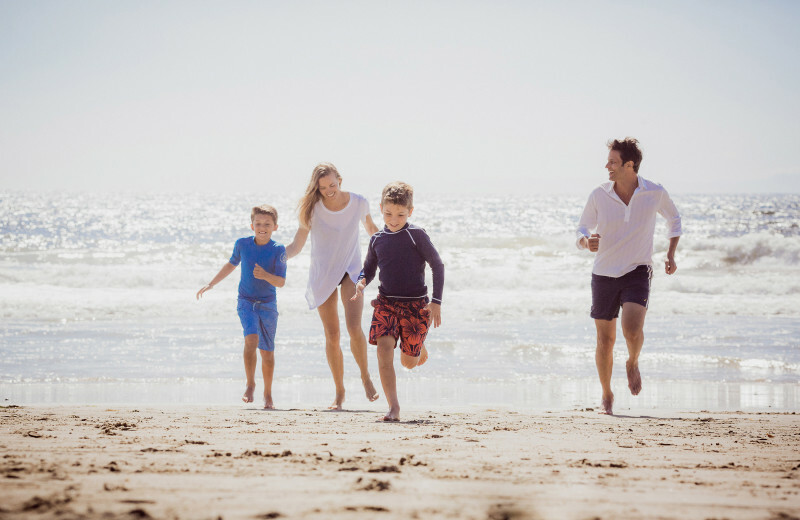 The Ritz-Carlton, Laguna Niguel inspires the ultimate family beach vacation with personalized beach butler service, Eco-Adventure activities, and unique culinary experiences. 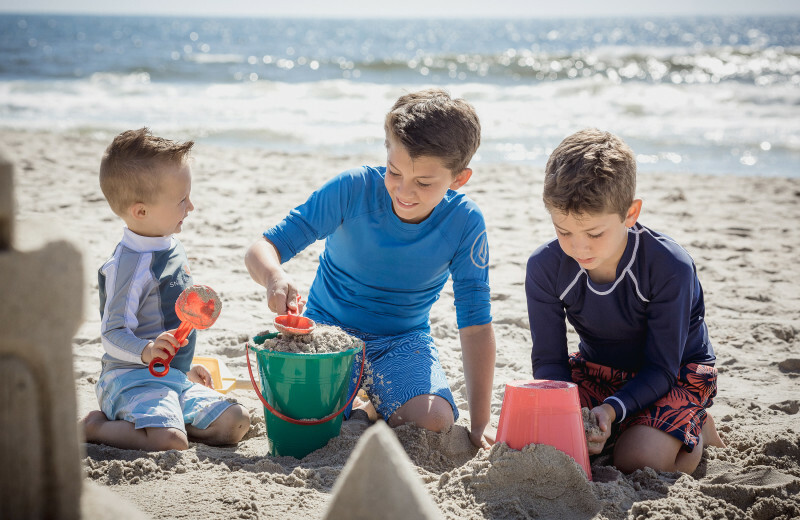 Relax on the beach while the beach butlers arrange all your family’s beach necessities including towels, chairs, umbrellas, and sand toys. 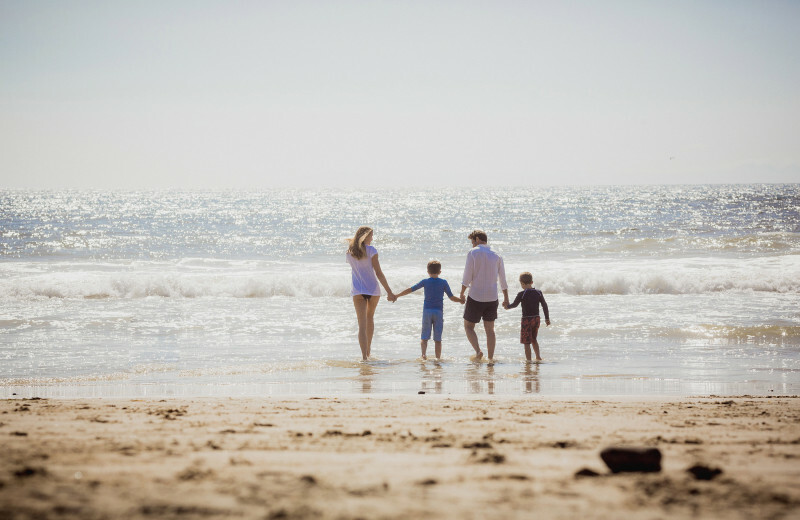 Build sandcastles out on the shore, explore the waters on a surfing adventure, or simply sit back and enjoy the California sunshine. The Eco-Adventure Center offers exciting activities for children and adults to enjoy and explore the natural surroundings by the ocean. At the end of the day, gather for family dinner with an ocean view in RAYA for unique Pan-Latin coastal cuisine. 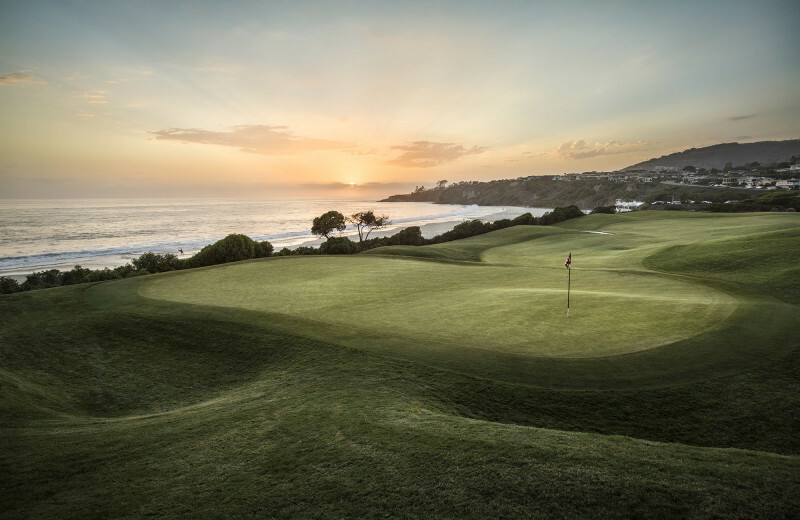 Enjoy the work of true masters on the exceptional golf courses along the California coast. 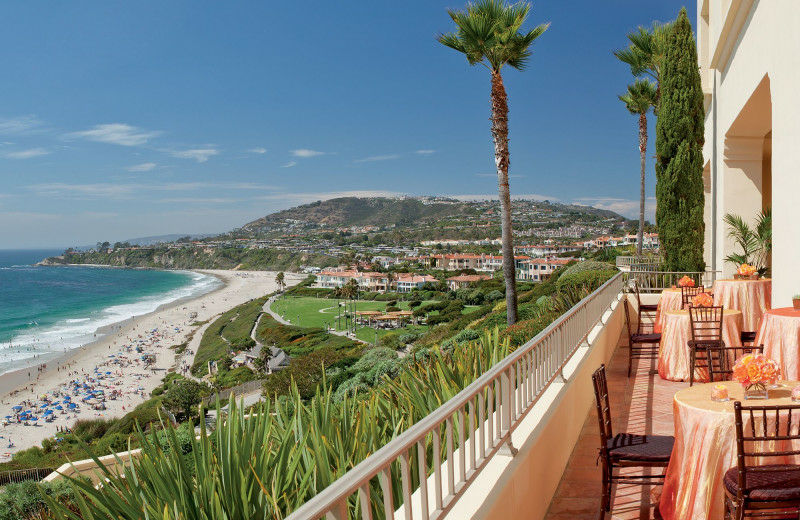 The Ritz-Carlton, Laguna Niguel offers golf vacation packages that include tee times at any of the nearby courses. These courses are created by renowned designers such as Tom Fazio and Robert Trent Jones, Jr. and offer stunning views and lush greens that make your play as memorable as possible. 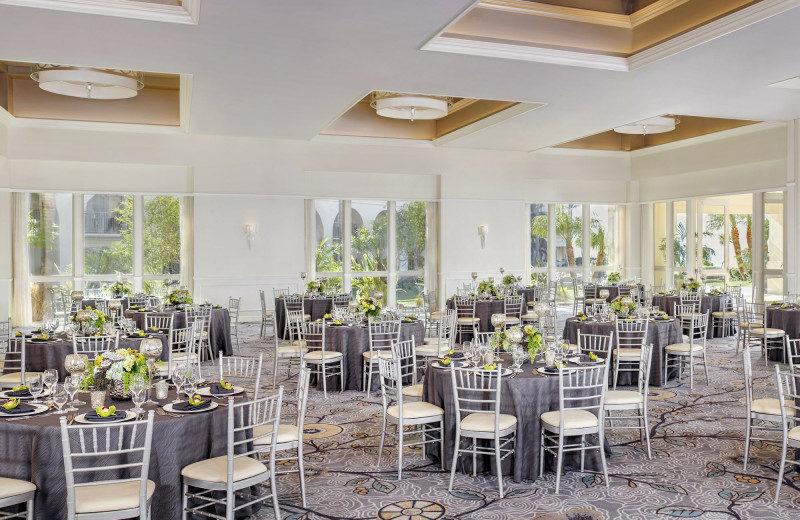 Reserve the unlimited golf getaway package for overnight accommodations and unlimited golf tee time for two at Monarch Beach Golf Links! 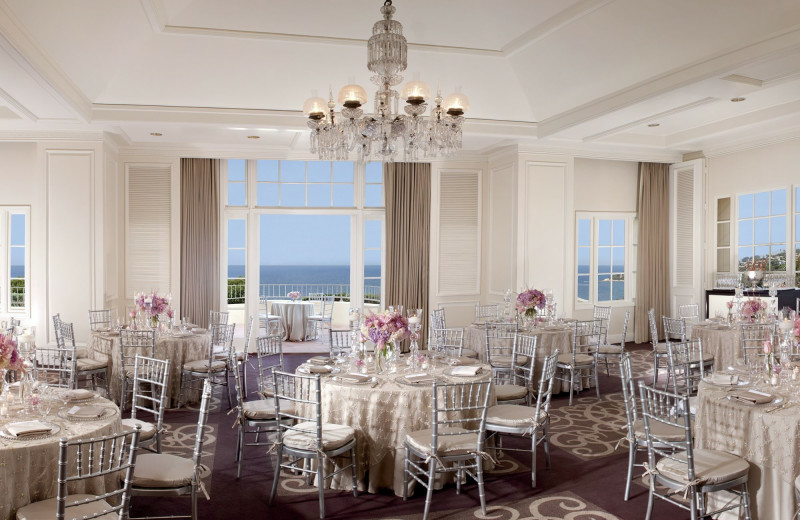 Elevate your next corporate event atop the oceanfront bluff at The Ritz-Carlton, Laguna Niguel! 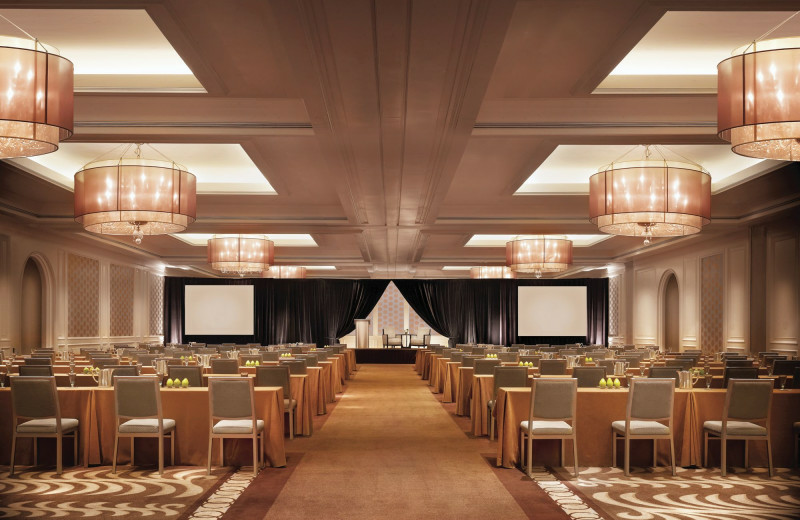 This luxury California resort raises the standard for meetings and business functions – with award-winning facilities that pair ideal meeting venues with impeccable service. 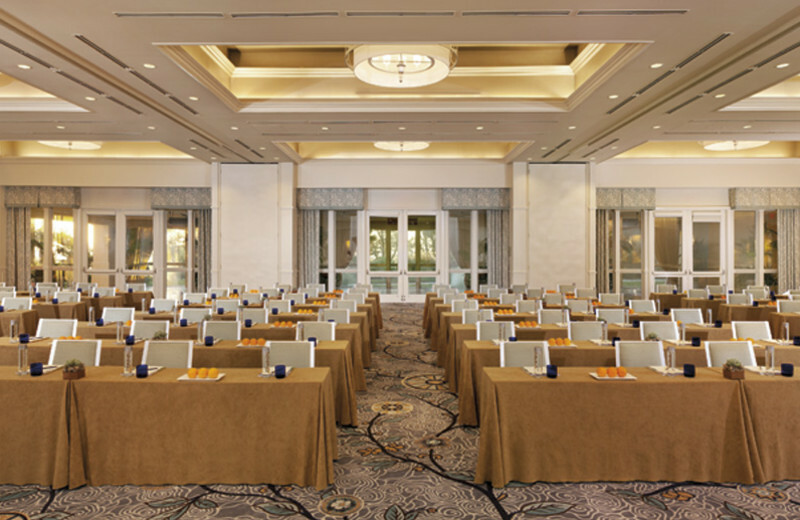 Choose from 18 function rooms across 26,224 square feet of indoor space and nearly 54,000 square feet of outdoor space for your event, and let the dedication Ladies and Gentlemen assist you in planning all the details. 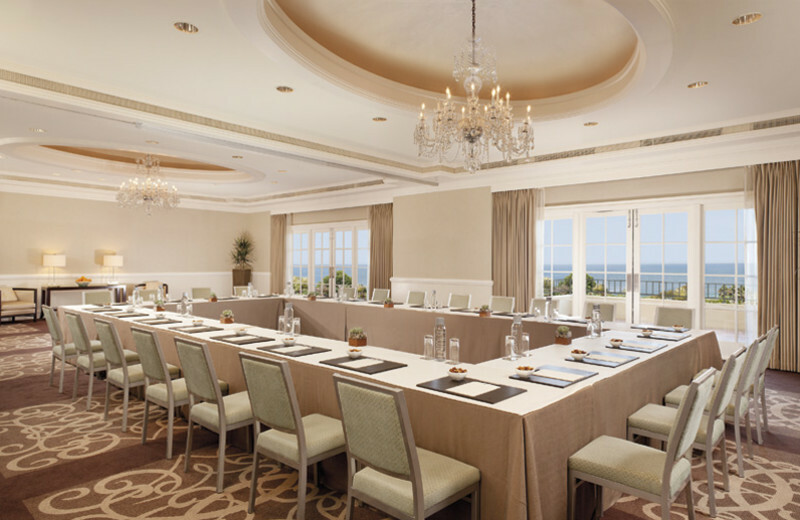 Everything you need for a successful business retreat awaits at this beautiful Dana Point resort. 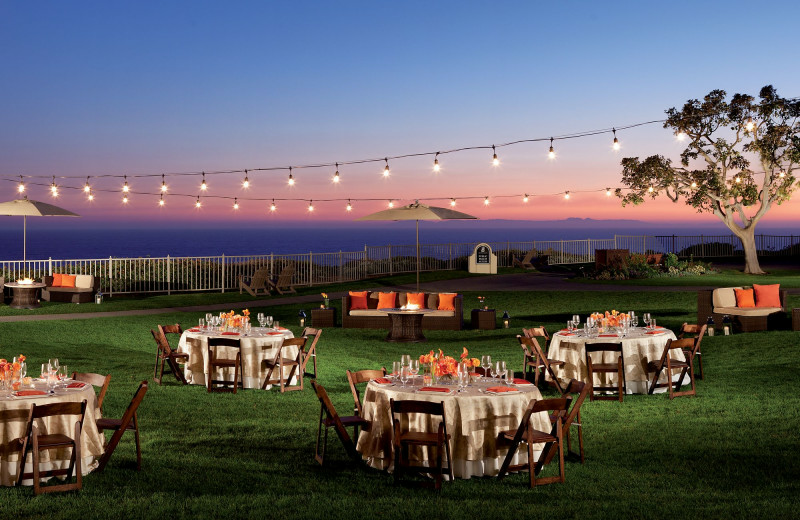 Gather with family an unforgettable California coast reunion! 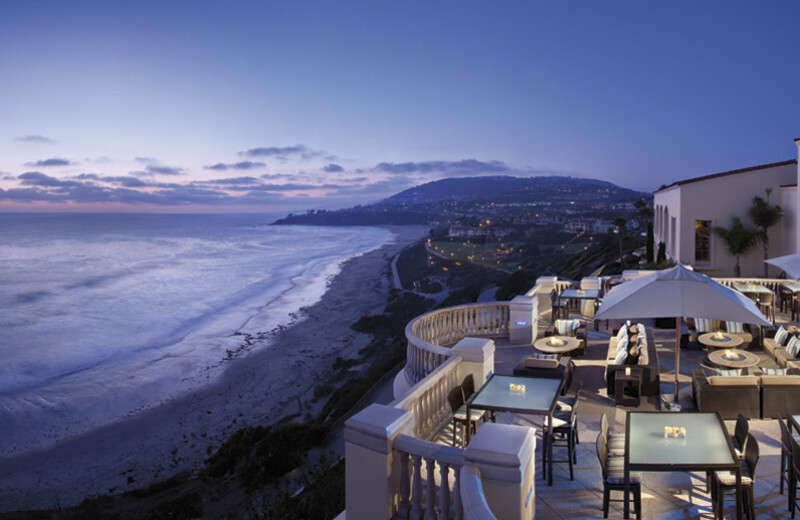 The Ritz-Carlton, Laguna Niguel offers a breathtaking oceanfront setting and endless activities to reconnect with loved ones. Spend time relaxing on the beach or practicing your swing at one of the nearby golf courses. Practice a game of tennis, unwind at the spa, and explore the natural surroundings on an Eco-Adventure. There's plenty of options here to reconnect with your loved ones! 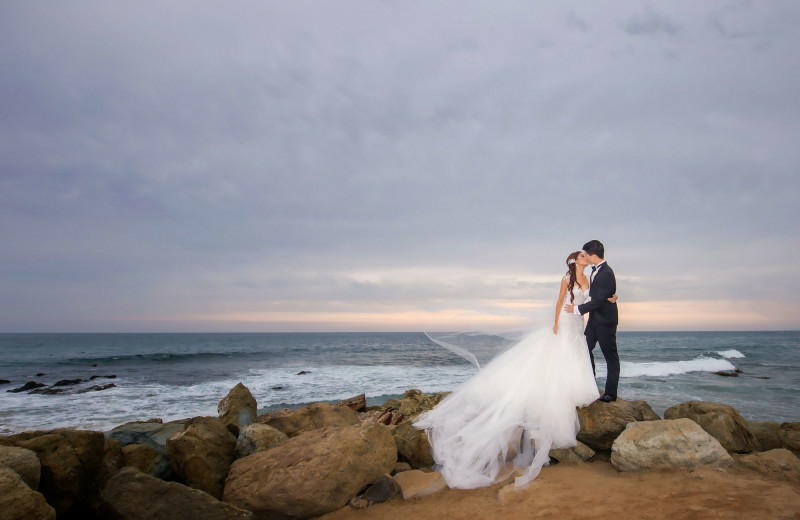 Fall in love all over again at this distinctive oceanfront resort featuring the perfect wedding location of elevated romantic elegance, natural grace and beauty of a coastal retreat. 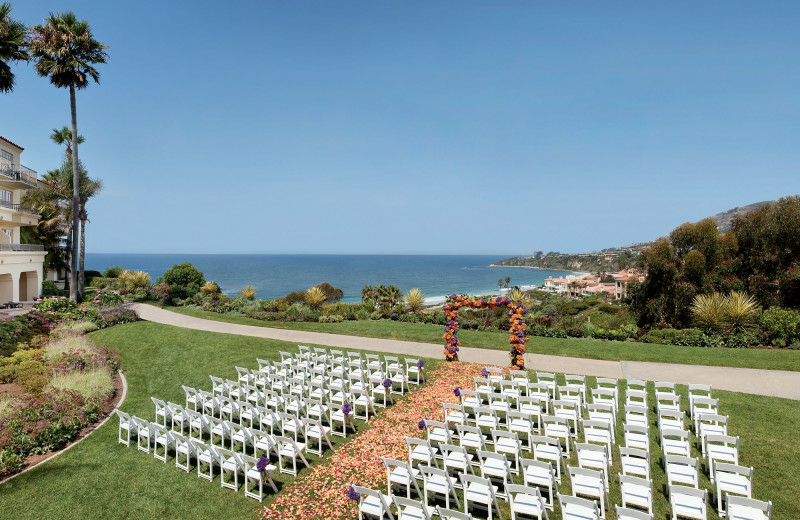 Couples can host every part of their celebration from intimate to grand gatherings with an array of indoor and outdoor ceremony and reception spaces including panoramic ocean view lawns of the Monarch Beach Sunset Terrace, Pacific Promenade Lawn, and The Bluff along with customized catering options and a team of experts to assist leading up to and during the big day. 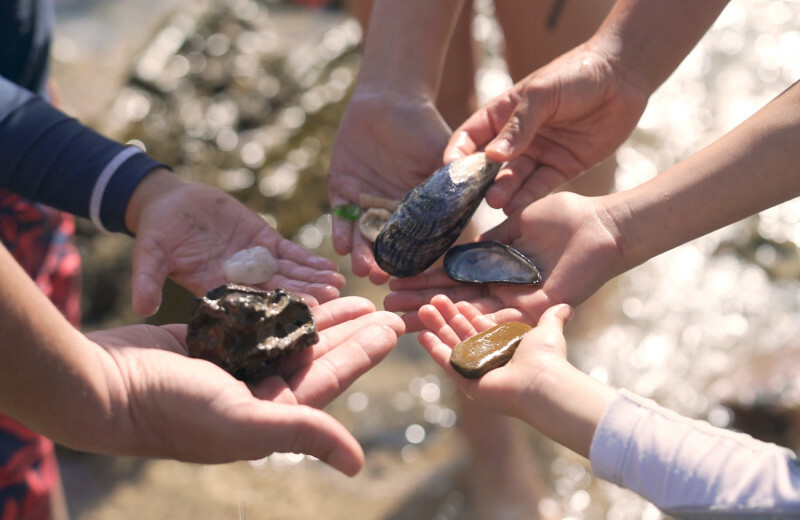 The Eco-Adventure Center at The Ritz-Carlton, Laguna Niguel is the perfect way to experience all the wonders of the California coast. They offer a variety of exciting and unique outdoor excursions that are led by expert naturalists. Join their SANDsational Sea Hike or the Beach Banzai Body Boarding and get as close to nature as possible! This is the perfect way to learn all about Southern California's unique ecosystems and their connection to the larger global systems. 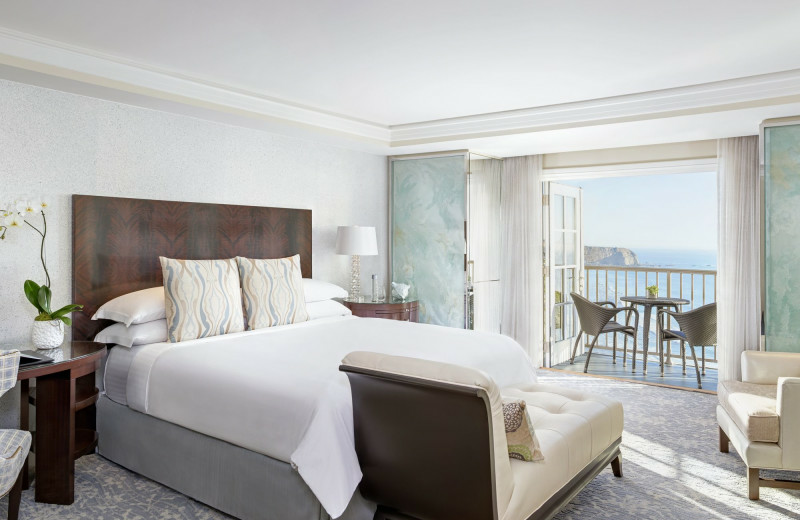 Treat yourself and your loved one to a romantic escape in luxurious accommodations at the luxurious Ritz-Carlton, Laguna Niguel. Savor unique ocean or garden views from your private balcony or patio, unwind at the beach or poolside, and indulge in an exciting adventure with whale watching and stand-up paddle-boarding activities. End the day by watching the sunset together at the outdoor patio lounge 180blũ, which offers dramatic ocean views and hand-crafted cocktails! 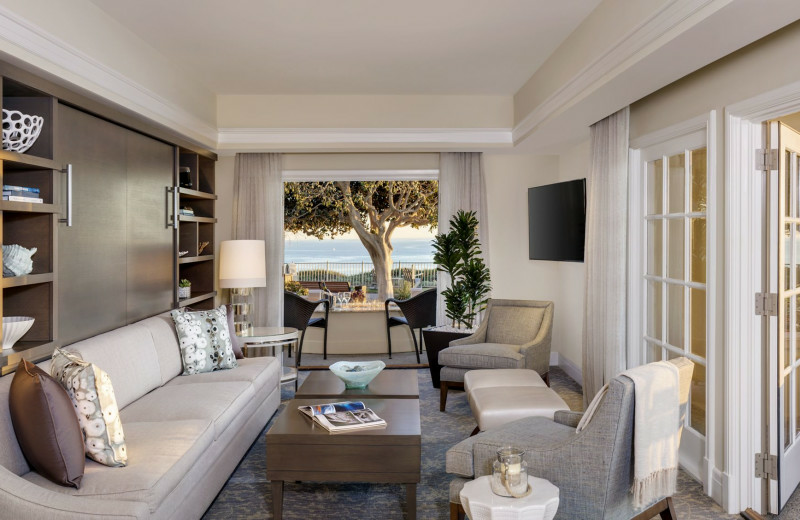 The Ritz-Carlton, Laguna Niguel is the perfect place to enjoy an exciting getaway with every member of the family, including the four-legged ones! 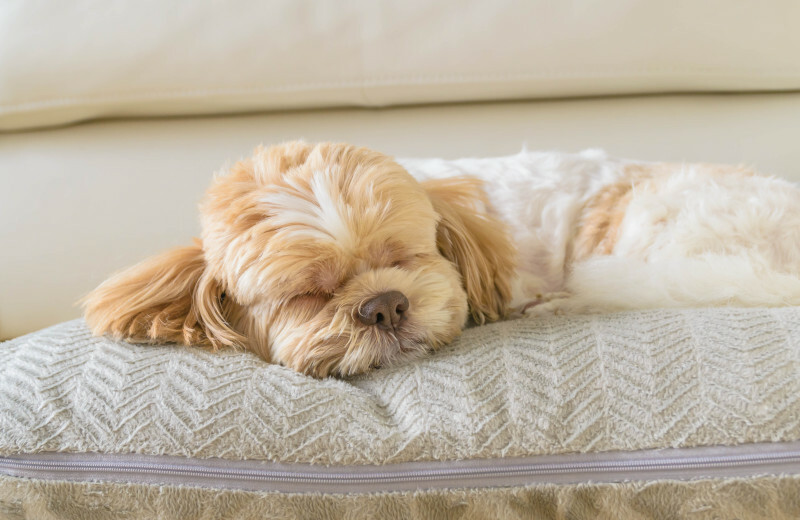 When you include Fido on your trip to this pet friendly hotel, tales of devotion are promised for a long time to come. For additional pet policies and fees, please contact the resort! 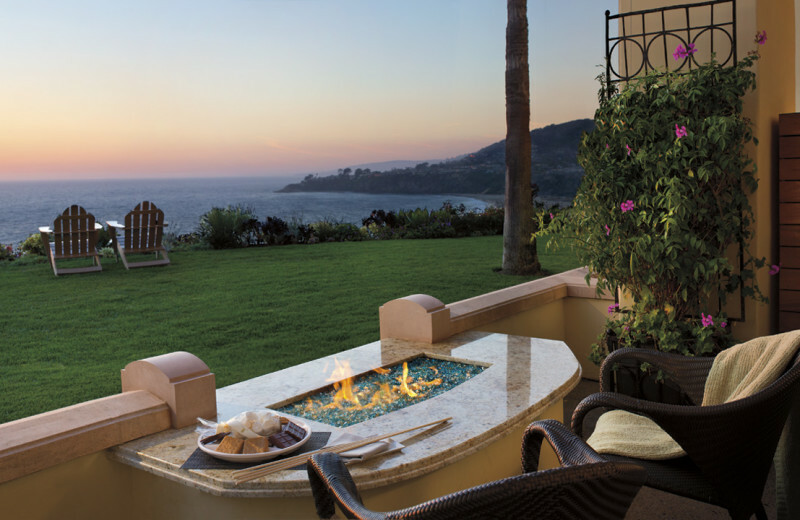 Discover a truly luxurious experience when you stay at The Ritz-Carlton, Laguna Niguel. 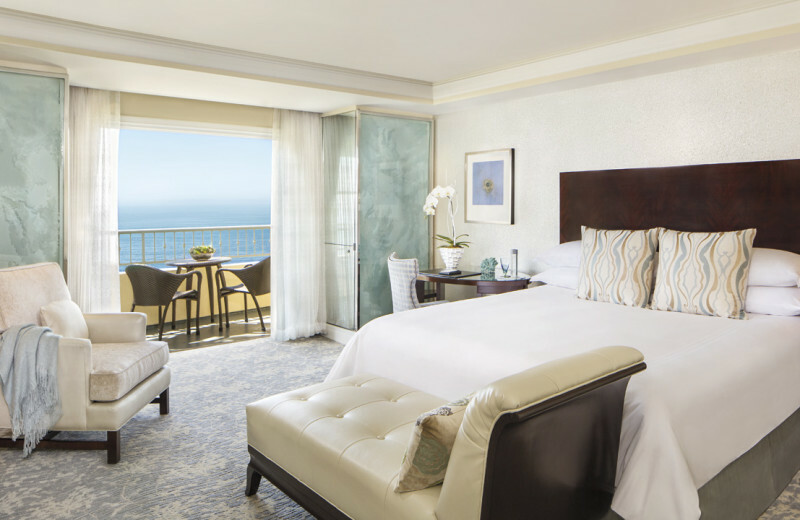 This stunning California coast retreat features 396 elegant guestrooms and suites that feature ocean-inspired decor, airy layouts, and private balconies or patios that overlook the Pacific Ocean. Onsite you will find six luxurious dining options, two swimming pools, two tennis courts, an an incredible spa. There's also the Eco-Adventure Center, which offers excellent outdoor excursions to enjoy throughout your stay! There's also 80,000-square-feet of indoor and outdoor event space that's ideal for hosting a memorable event. 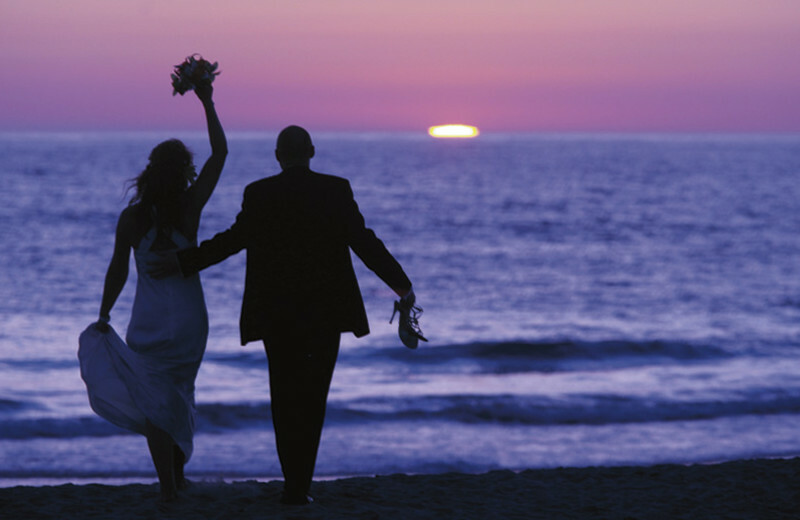 Begin the newest chapter of your life together at a stunning California destination. 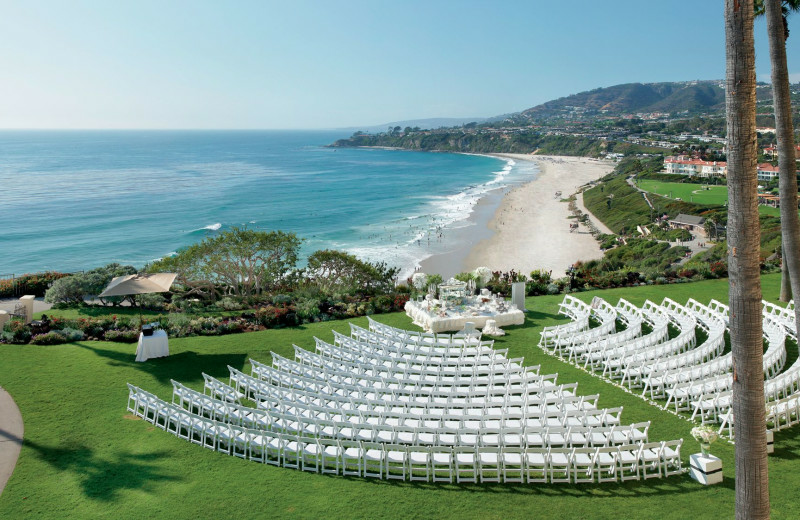 With cascading views of the Pacific Ocean, The Ritz-Carlton, Laguna Niguel offers an incredible setting for your honeymoon where you can unwind after the excitement of your big day. Plan a day of golf nearby, try out stand-up paddle-boarding in the ocean, or simply relax at the beach with personalized beach butler service. Take time to rejuvenate on your next California vacation. 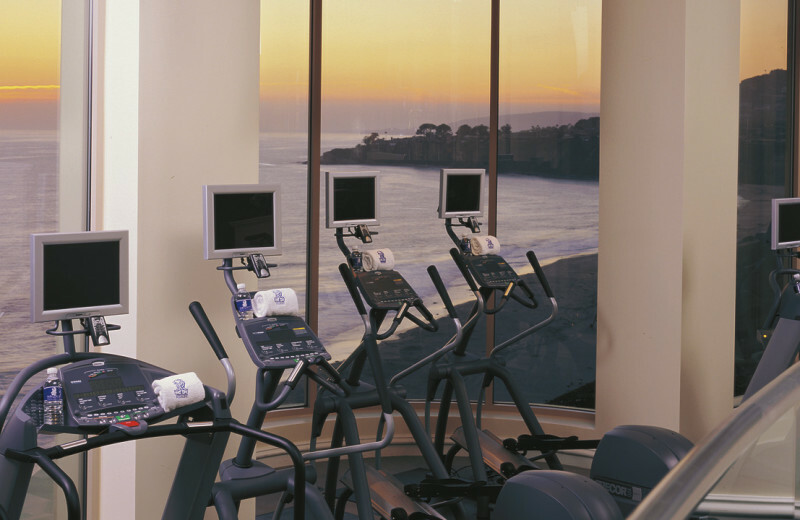 The Ritz-Carlton, Laguna Niguel offers a variety of options for maintaining on your health while on vacation. Indulge in a soothing massage at the luxurious spa, or stop by the onsite fitness center for an intense workout. The reosrt also offers two tennis courts and a basketball court to get your adrenaline running. Plus, there's yoga and pilates classes that you can join for even more health-focused activities! No matter what time of year, escape to California for your next holiday vacation. 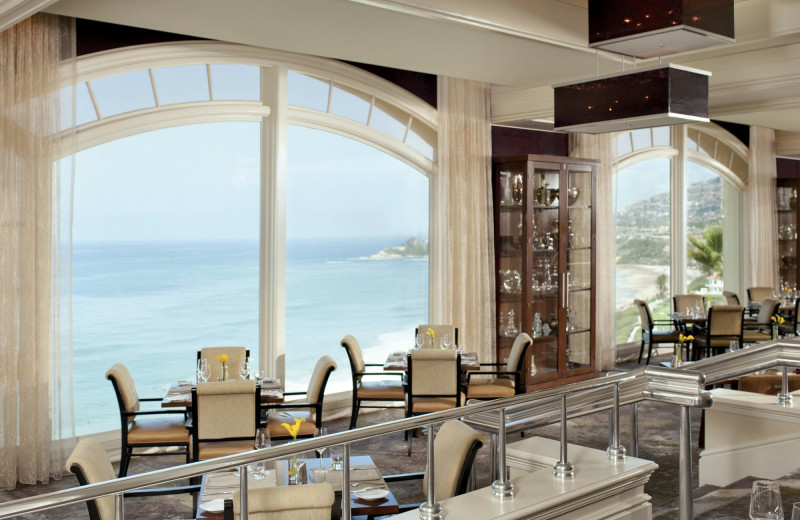 The Ritz-Carlton, Laguna Niguel boasts a newly re-imagined vibe, services and spaces, yet still occupies its famous scenery atop 150 foot bluff featuring cascading views of the Pacific Ocean. 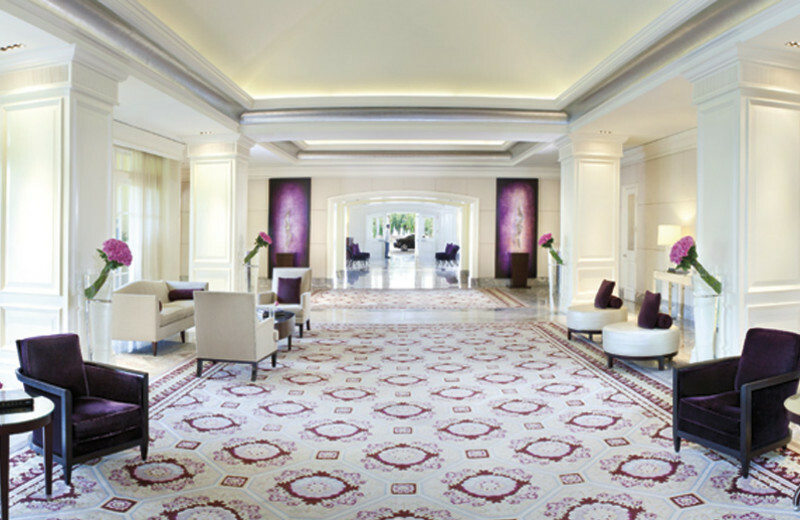 The hotel is the premiere destination for travelers who desire a playful approach to Southern California luxury. 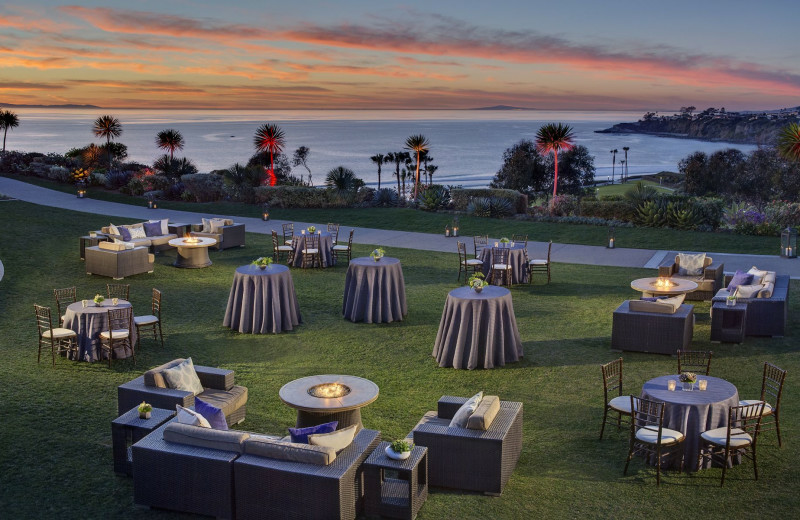 Located half way between Los Angeles and San Diego, the surfside retreat awakens guests' senses with its unique beach ocean-front setting and remarkable service heritage. 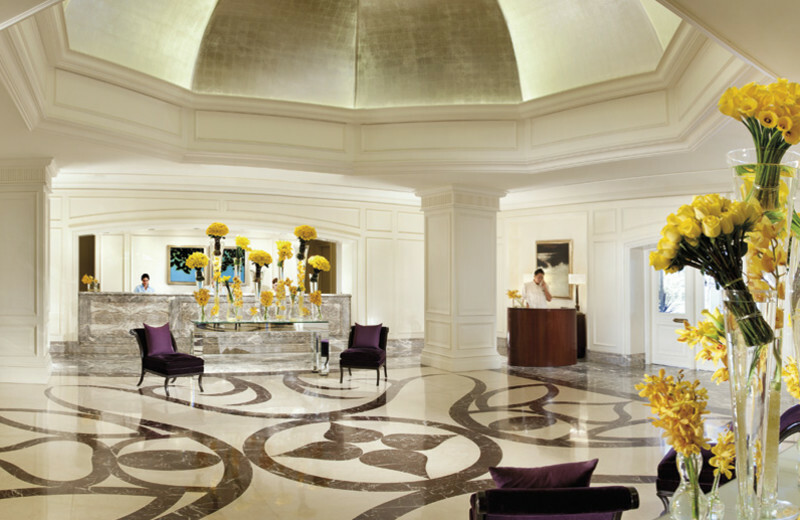 Escape to The Ritz-Carlton Spa and immerse into an oasis of the finest luxury treatments inspired by the sea. All therapies are individually designed to nurture body and mind to provide a blissful return to balance within the tranquil setting. 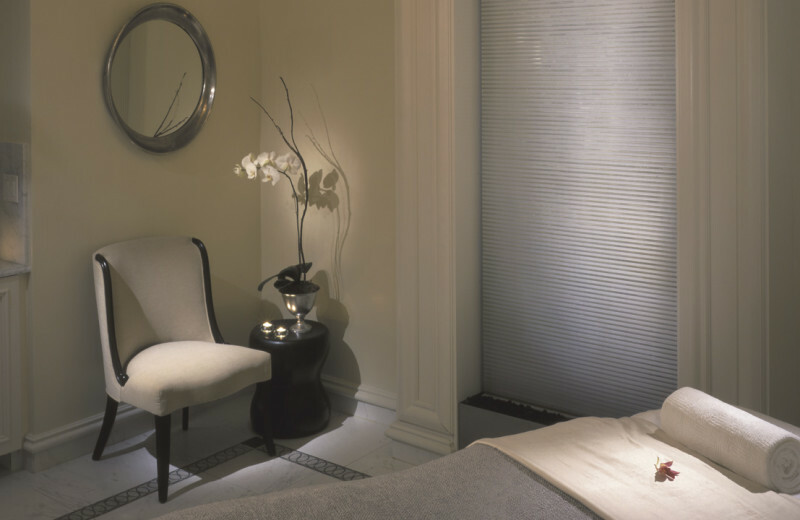 Choose from soothing massages to rejuvenating skin therapies and feel completely pampered throughout your session. 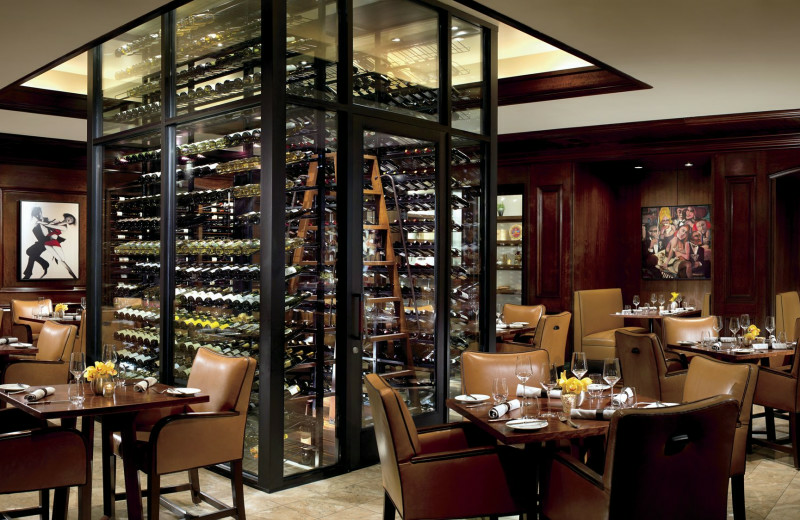 This is the perfect little respite during your incredible California vacation! Valid through December 31, 2019 **Package is subject to availability and cannot be combined with any other offer. Advance reservations are required; rates do not apply to groups. Rates listed are per room, per night, single or double occupancy, and exclusive of taxes, gratuities and other charges unless otherwise noted. Rise and shine with the light gleaming through your window and enjoy ocean views and breakfast for two. 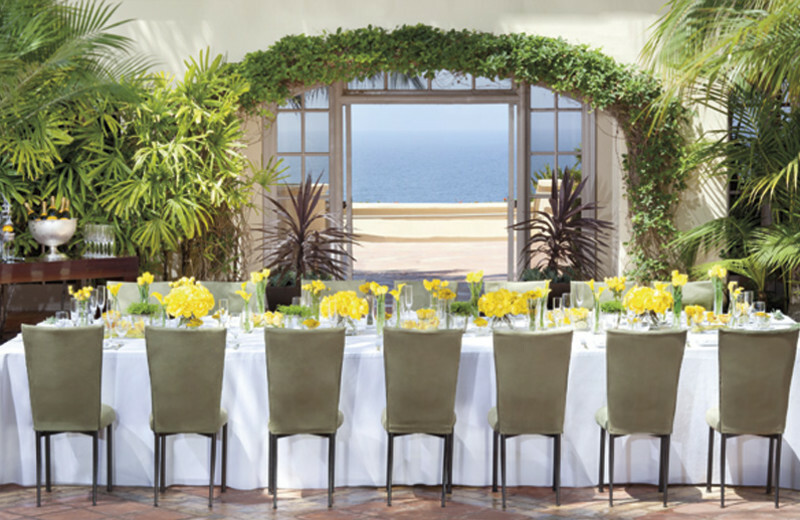 Delight in coastal cuisine, nature adventures, and elegant accommodations near Laguna Beach. 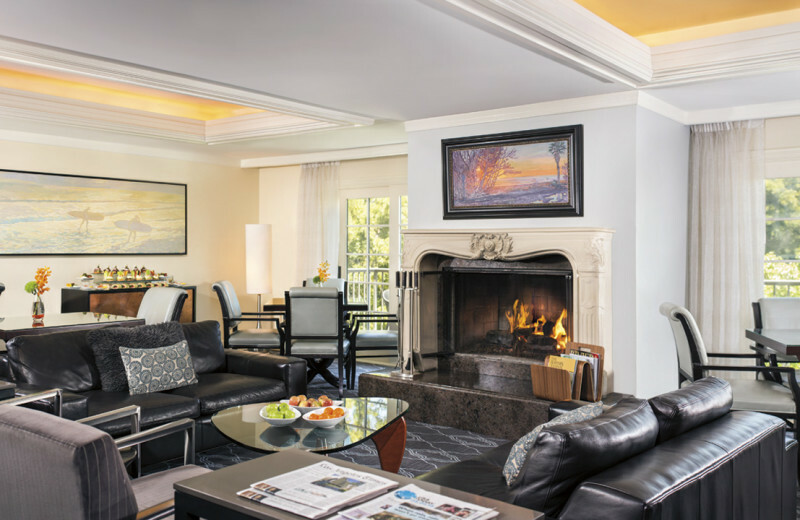 Elevate your stay on The Ritz-Carlton Club Level and enjoy one complimentary night when you reserve our Treat You package. 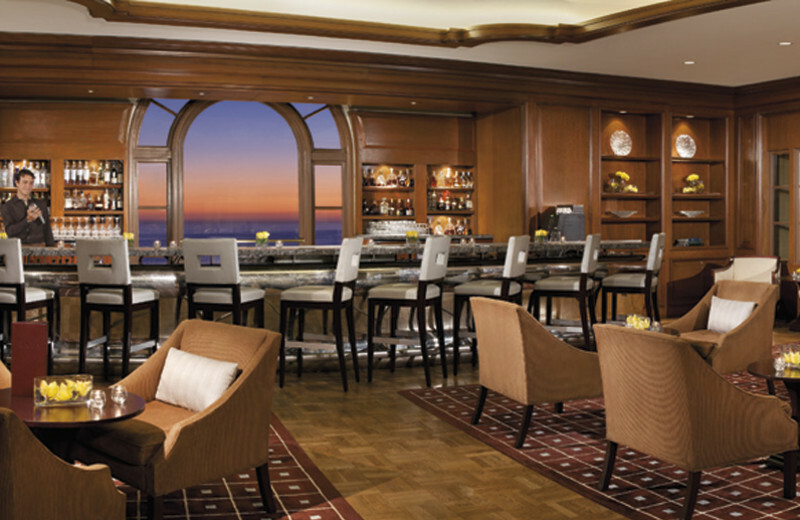 Savor this savings-filled Southern California vacation with oceanfront dining, personal concierge services, and exclusive art exhibits by Dawson Cole Fine Art. Enhance your experience with a complimentary 45-minute photography session with the Photo Concierge. **Offer is valid through December 31, 2019 and subject to availability. Rate is per room/per night, based on single or double occupancy, exclusive of taxes, gratuities, fees and other charges; does not apply to groups; cannot be combined with any other offer and is not applicable for Rewards redemption. Advanced reservations are required. No refund or credit for unused portion. Void where prohibited. 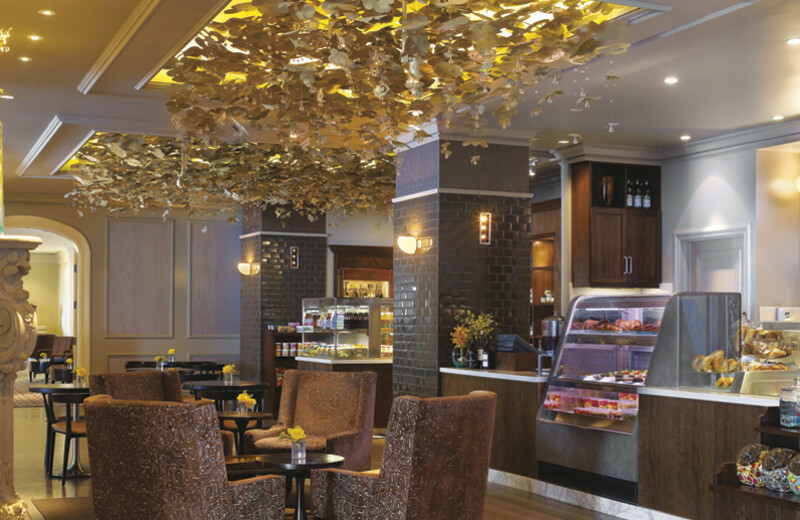 Complimentary night requires purchase and minimum length of stay, and will be credited at time of check-out. A stay is defined as consecutive nights spent at the same hotel, regardless of check-in/check-out activity. Rise above the Pacific Coast as the glistening waves roll in. 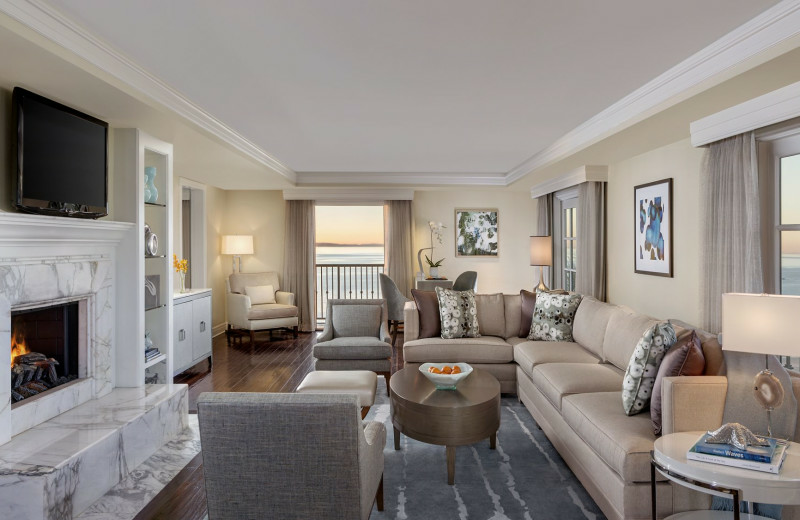 Our coastal retreat awakens your senses with hours of warm sunshine, personalized service, and unique dining experiences. Valid through December 31, 2019 **Package is subject to availability and cannot be combined with any other offer. Advance reservations are required; rates do not apply to groups. Rates listed are per room, per night, single or double occupancy, and exclusive of taxes, gratuities and other charges unless otherwise noted. Hotel and resort credits cannot be used toward room rate, tax, resort fee or gratuities. Credit cannot be reimbursed or exchanged if not used. Credit must be used during stay. Lift your spirits and indulge in a soothing, signature spa treatment, replenish with lunch for two and enjoy a recreation activity when you reserve your Southern California spa vacation. Offer is valid through December 31, 2019 and subject to availability. Rate is per room/per night, based on single or double occupancy, exclusive of taxes, gratuities, fees and other charges; does not apply to groups; cannot be combined with any other offer and is not applicable for Rewards redemption. Advanced reservations are required. No refund or credit for unused portion. Void where prohibited. Requires a two-night stay. Spa treatment and Recreation Activity is per stay and varies by hotel. Lunch is per stay, available in select hotel restaurants, and not valid for in-room dining; total value of lunch credit is $90. Stays of more than two nights will include lunch for every second day. 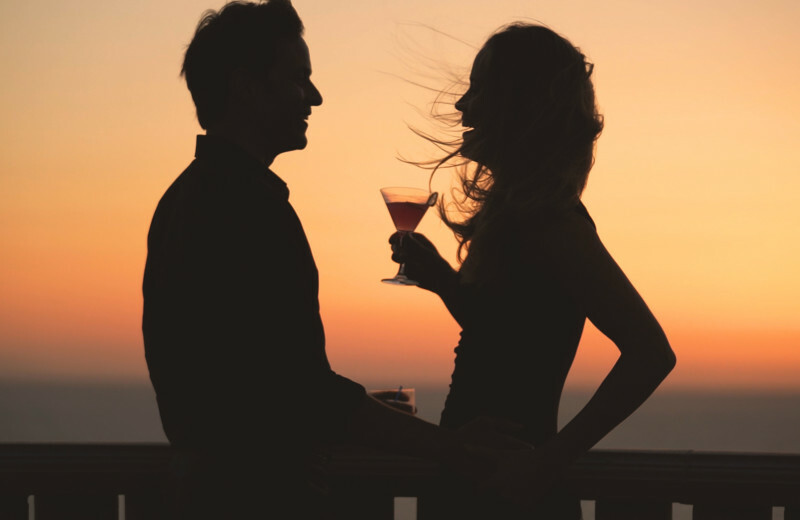 Let romance soar as you rise above the resort’s 150-foot bluff and watch the sun set over the Pacific Ocean. 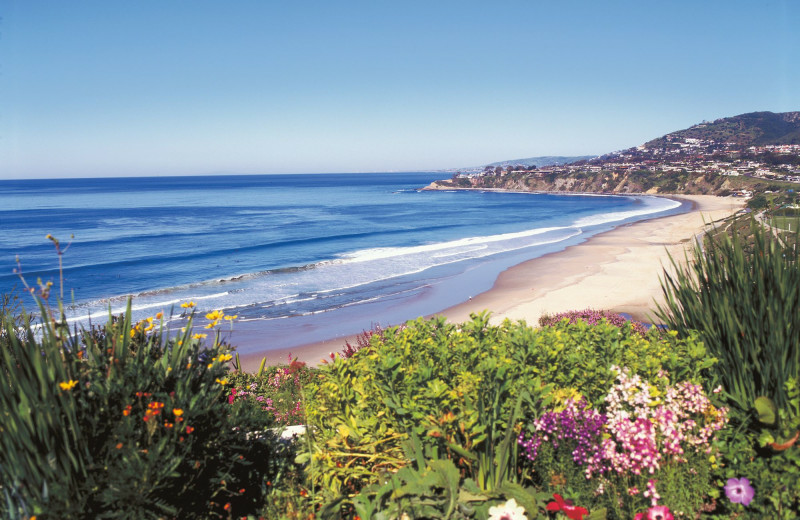 Escape to the sandy beach below for a day spent soaking up the warm sunshine, enjoy a romantic dinner with ocean views and relax at The Ritz-Carlton Spa, Laguna Niguel for the perfect getaway. Enjoy a true Southern California surf vacation. Surfers of all ages and skill levels will enjoy a unique opportunity to rise above the pristine waves of Southern California’s world-famous coast. 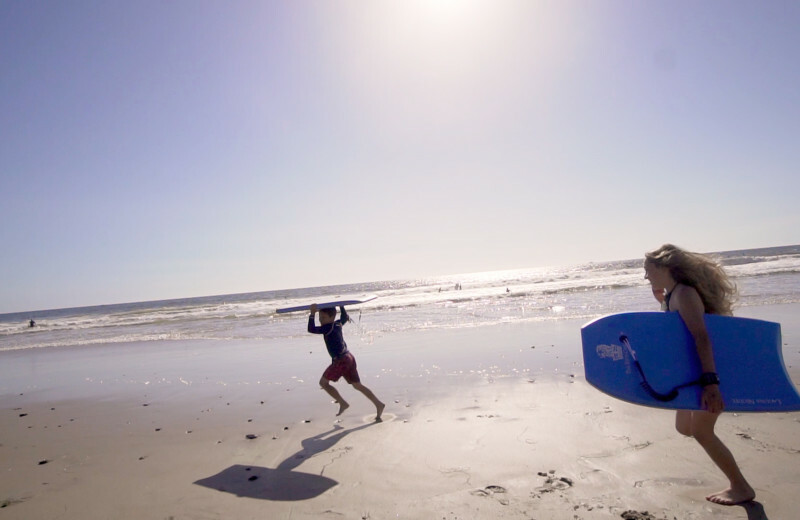 The package includes a two-hour surf lesson at a beautiful spot in Laguna Beach. You will receive quality instruction, dynamic curriculum and safety-first attitude. Valid through December 31, 2019 **Package is subject to availability and cannot be combined with any other offer; 48 hour advance reservations are required; rates do not apply to groups. Rates listed are per room, per night, single or double occupancy, and exclusive of taxes, gratuities and other charges unless otherwise noted. Pageant of The Masters "Under the Sun"
Escape to Laguna Beach for a one-of-a-kind art experience with Pageant of the Masters “Under the Sun” package. This year’s Pageant of the Masters theme, Under the Sun, showcases art in the early years of the 20th century when a new generation of impressionists and plein air artists set up their easels outdoors and reveled in the natural beauty to be found as far as the eye could see. Prepare to experience the theatrical magic of “living pictures,” live music, and whimsical stories as Pageant of the Masters celebrates its 85th Anniversary and honors artistic pioneers from around the world who ventured from the comfort of their studios in search of new inspiration. Pageant of The Masters "Behind The Velvet Rope"
Behind the Velvet Rope affords guests the opportunity to “peek behind the curtain” before the show with a private guided tour showcasing how Pageant of the Masters comes to life. 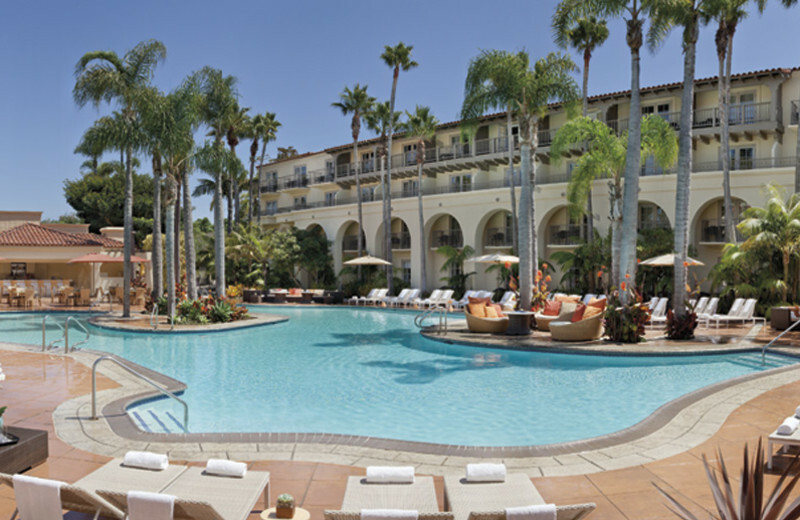 This property is ranked number 1 on Top 10 Orange County Hotels. Read about it here.